← Cameron caves in on care? 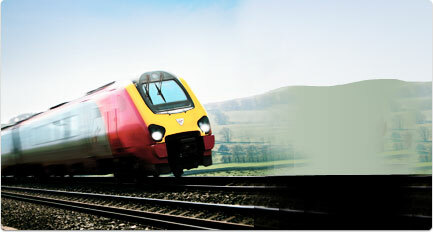 This week’s news raises the thorny issue of train fares and the balance between fare rises and public subsidy. The issue is multi-faceted. are much higher. They seem to attack the hard working middle class, particulalry in the south where commuters have little choice but to travel into London for their jobs. Fare rises of this magnitude are likely to push some commuters back to car use. The comparison between the full cost of rail fares and the marginal cost of putting petrol into the tank of a car that is already paid for or, at least, is a committed and sunk cost is distorting. The awarding of the new West Coast contract to the First Group – an unpopular train operator with a shaky record – taking it from everyone’s hero, Richard Branson, has added to the general angst among the travelling public. Where is the logic in government policy? Where are the social, economic and environmental drivers? What are the alternatives? I am afraid the hard logic of rail funding is summarised in the note that Liam Byrne, a Labour Treasury minister under Brown, left for his successor. He wrote “the money’s all been spent”. Given the imperative to reduce the structural imbalance in our ongong national budget, there is an inexorable logic in driving down the element of subsidy of rail travel. The social, economic and environmental arguments are much harder to sustain. I travel to London several times per month. I am very glad it is not more frequently! I am also relieved that I can usually travel on Chiltern Rail from Banbury to Marylebone rather than on First Great Western from Oxford to Paddington. Chiltern trains are invariably on time. Most of the rolling stock offers tables at which one can work comfortably for an hour long journey with wi-fi and power points. The trains are clean and reasonably comfortable. Only occasionally, the travelling public can be the downside but, usually, in small numbers! 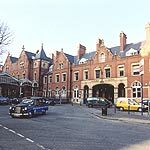 Marylebone is a pleasant station at which to arrive and ongoing transport is pretty good with regular taxis. One can arrive reasonably fresh and having completed some work during the journey. A similar journey by car will take longer and one will have spent the whole time at the wheel – in other words dead time. The First Great Western service from Oxford to Paddington shows how not to run a service. Timing is uncertain. There are no tables, no wi-fi, no power points and frequent over-crowding leaving one arriving frazzled and in little better condition than having battled up the M40 in a car. Paddington station has this ghastly sheep dip arrangement in which to queue for a taxi, frequently for a long time. In financial terms, a return ticket from Banbury in the rush hours will cost £67 compared with a tank of petrol in the car for £30. If my partner and I are going to London, the cost of two return tickets points with inevitability to choosing the car. The proposed increases will sharpen the apparent void between train and car costs. Forward booking on the internet can reduce costs dramatically but often ties the passenger to set start and return times that may not be convenient. Environmental issues would seem to favour the train over the car although I do not know enough about the energy demands and costs of modern trains to form a judgment. In terms of reducing congestion and pollution in our cities, train journeys must be a better bet but to expect commiters to stand for an hour or more having paid a fortune for a season ticket is pushing acceptability a bit too far. I have never understood why European countries have apparently much better rail systems than us? Perhaps they have consistently invested public funding when we have not although the huge sums poured into the West Coast line and into station improvements not to mention the vast sum to be spent on HS2 suggests we might have started to catch up in terms of comparative investment. I cannot believe that re-nationalisation is the answer. When Labour carried out the first nationalisation in 1947, I hear that employees of the old Great Western Railway (GWR) company cut off their GWR brass buttons from their old uniforms and sewed them on their new ones. Such was their pride in the “old firm”! I think, in part, it is the scale of a national monolith and the anonymity of national ownership that makes employees lose their pride in an organisation and their desire to see it perform well. I think part of Chiltern Rail’s success is in the pride many of their staff feel in being recognised as an efficient and reliable service. How you spread that to all of the operators and drive down the operating costs is a real challenge. If I was DC, I would ask Adrian Shooter, the recently retired Chairman of Chiltern round to Chequers for dinner to hear it from the horses mouth! This entry was posted in Politics and tagged Chiltern, First Great Western, train fares. Bookmark the permalink.